Style, charisma and personality. Italian style and artistry have always produced world-renowned masterpieces and Azimut Grande is the modern embodiment of this excellence: it is love at first sight. The SL of the name stands for Sport Luxury and this is the theme of the 120. Despite the fine fittings of the interior, the 120 has a low, sporting profile, and has a speed that can top out at 40 knots – so there is performance to spare. 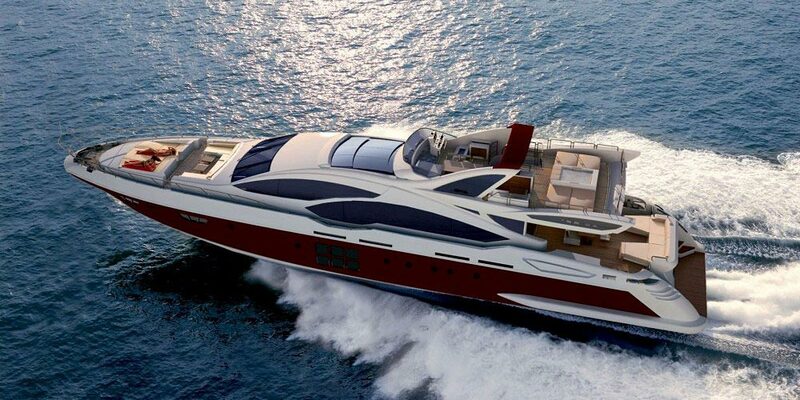 The Azimut Grande 120 SL was the first model to launch in Azimut’s new range of superyachts. An interpretation of space that does not set limits for the owner, along with top service. 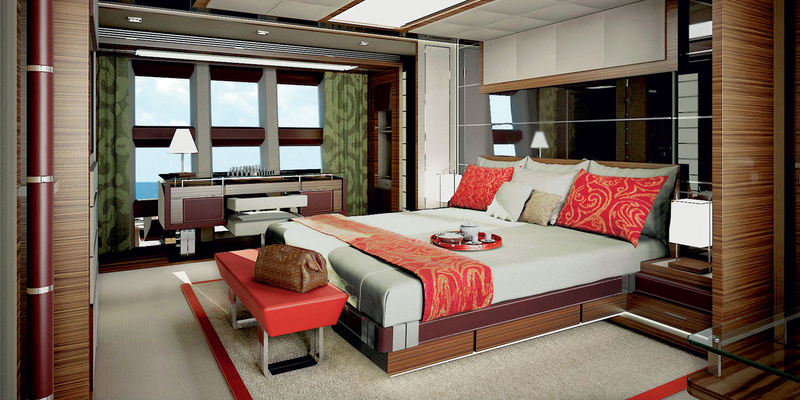 This is how the new 36-metre Azimut megayacht in a sporty guise was born. Long and slender, majestic and agile. The new Azimut 120 SL’s sleek lines with 50 square metres of glass surface area create a dramatic exterior profile that is sure to turn heads.That’s because nothing similar exists. The design of every Azimut Grande is a perfect combination of technological innovation, fulfilling the boatowner’s needs, and that special Italian flair. Out on deck, there are generous seating and dining areas aft deck, whilst a large u-shaped seating area and sunbathing pads provide uninterrupted views ahead. 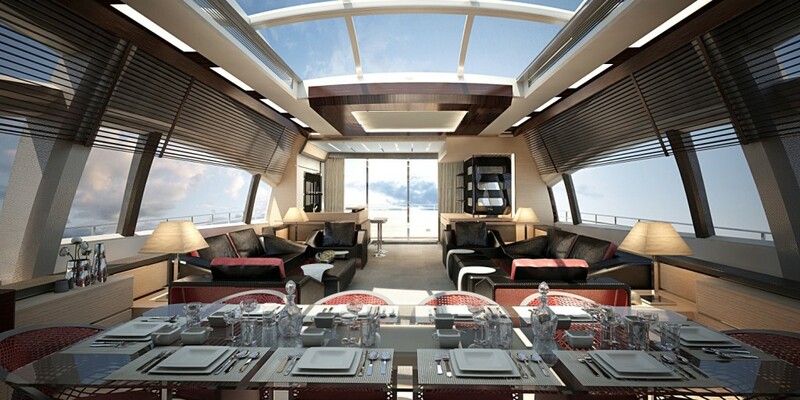 Glass doors lead from the aft deck area into the Azimut 120’s main salon. The salon is flooded with natural light from oversized windows, glass doors and glass panels above. 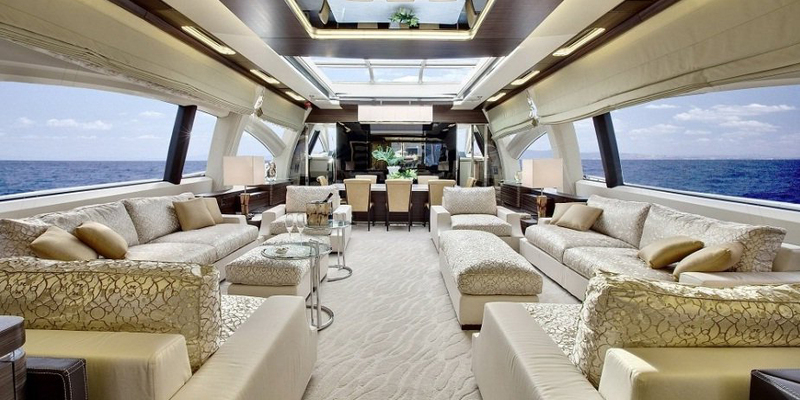 Geometric shapes run throughout the yacht’s light and contemporary interior. Furnishings and accessories are carefully selected for quality and style, ensuring exclusiveness and an array of options to suit a wide range of needs. 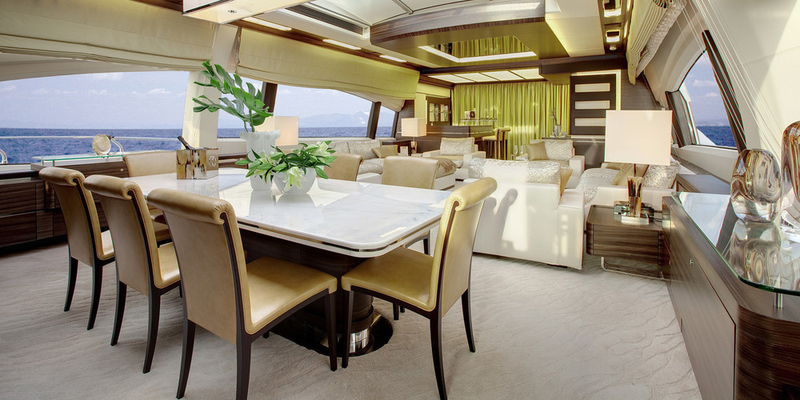 Fine fabrics, leather, wood, mosaics, and marble… All at the fingertips of the best possible designer: the boatowner.